People get their motivation to ride a bicycle for many different reasons. Health, appearance, status within the scene, environmental, and financial factors can all inspire folks to get on a bicycle. A hungry belly can now be added to the list of motivating factors. Until this Saturday, anyone that rides their bicycle down to Bingo Burger in Pueblo will receive a 20% discount on their order! It's programs and incentives like these that I would love to see more local businesses move towards becoming our first official Bicycle Friendly Business. 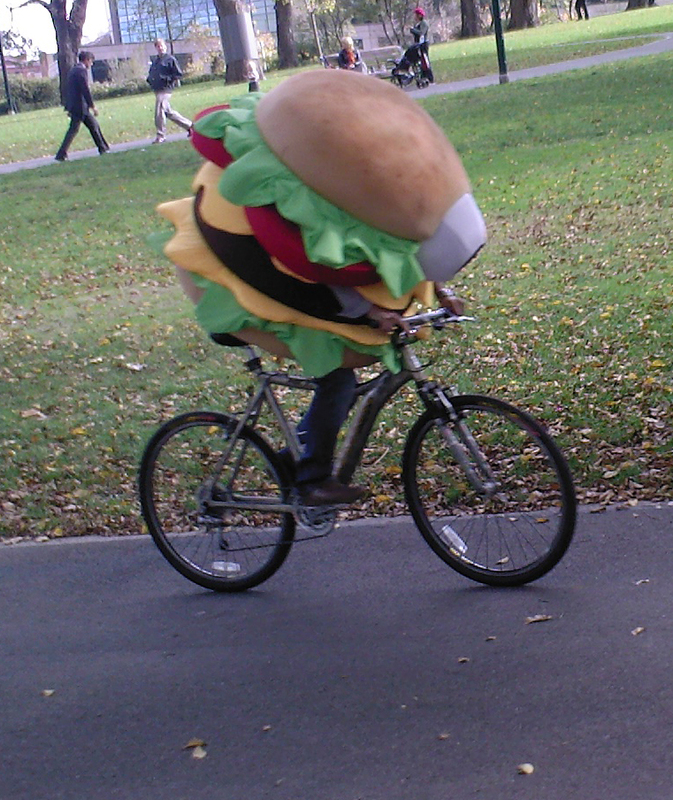 Bingo Burger has accomplished many of the stipulations for becoming a BFB, as they are promoting biking to work amongst employees by participating in the Commuter Cup, have a nice, big, ideally located bike rack out front, and are offering discounts to customers that ride bicycles. Nice job!